From the dawn of Incepta Pharmaceuticals Ltd, the Research & Development (R&D) department has been contributing unwaveringly to our strategy to introduce new and quality products to consumers. The team works with creativity, innovative thinking & ability to analyze and formulate effective formulations to serve the patients worldwide. About 170 brilliant mind work side by side in our R&D department to deliver affordable medicines in a multitude of therapeutic areas. 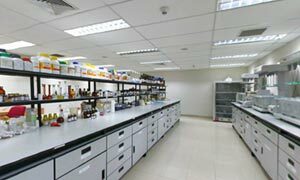 Our Formulation team has been provided with a Laboratory equipped with all the necessary machineries & equipment’s. Lyophilizer & Dispensing isolator facility - all of GMP standard in small scale to develop innovative formulations. New generic drug development, trials to assess efficiency and reproducibility of formulation & standardizing processes for uniform quality are the main concerns of this team. 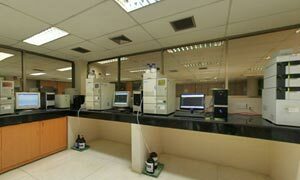 Our Analytical team comprises of a magnificent laboratory, enriched with highly accurate & efficient instruments including with a group which maintains a mindset of exceptional professionalism., the team has dedicated itself in the optimization of formulations through development & validation of analytical methods, stability study & comparative analysis of finished products and Active Pharmaceutical Ingredients. The Regulatory wing of R&D is entrusted to take care of all the technical documents required for regulatory submission including Common Technical Document (CTD) preparation. With the formulation, analytical & regulatory teams working hand-in-hand, this unique combination of strength, potential and proficiency enables new ideas and enhanced innovation. Our capability to develop therapeutic drug delivery systems has expanded beyond traditional dosage forms like tablets, capsule, cream, ointment and solutions to sterile drug delivery systems, modified release dosage forms, dry powder inhaler, nasal sprays, and effervescent tablets and so on. Through R&D, Incepta Pharmaceuticals Ltd is prioritizing its research and development efforts in areas with the greatest scientific and commercial promises. We want to discover knowledge to uncover and enable development of new products, processes and services. We have proven that we have the portfolio, talent and capabilities along with the methodological accuracy to unlock new levels of productivity. This is what makes our R&D department one of its kinds in Bangladesh.